FATAL PICTURES: AnythingHorror review's "FAMILIAR"
In FAMILIAR, which has a run time of 24 minutes, we see the daily routine of John Dodd. Let me stop right here and point something out. In Powell’s 2010 short, WORM, the main character was Geoffrey Dodd (both characters played by Robert Nolan). Coincidence? To find out I emailed executive producer Zach Green this question and he assured me that these are two separate shorts but that the main characters in both are brothers. Geoffrey and John seem to suffer from the same malaise: A negative, violent inner voice that seems to guide their very actions. Maybe this is a subtle way of Powell examining how mental illness runs in families, but there could be something else more sinister going on here. Whereas in WORM we follow Geoffrey in his daily routine at work, FAMILIAR follows John in his daily home life. We see his interactions with his wife Charlotte (Astrida Auza) and teenage daughter Jordan (Cathryn Hostick). He’s estranged from both and always keeps them at arms length, almost like he doesn’t want them to ‘know’ the real him. Read full review here. 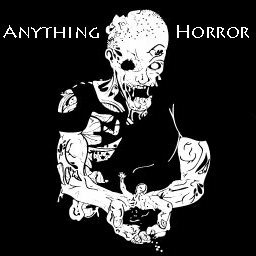 All Things Horror review "FAMILIAR"
Knifed in Venice review of "FAMILIAR"
The Blood Sprayer Review's "FAMILIAR"
The Conduit Speaks Review's "FAMILIAR"